The story of Igguthappa is simple and belongs to a local mythology. Six brothers and one sister, celestial beings, arrive upon the Northern Malabar coast. The elder brother (Kanjirath-appa) settles down there and persuades his siblings to move eastward. Two brothers settled near him. The remaining four (Igguthappa, Palur-appa, Ponnangalat-amme, and Thirunelli-Pemmayya) enter Kodagu and settle down in different places. They are welcomed by the Pardanda, Karthanda and other Kodava families in Kodagu. 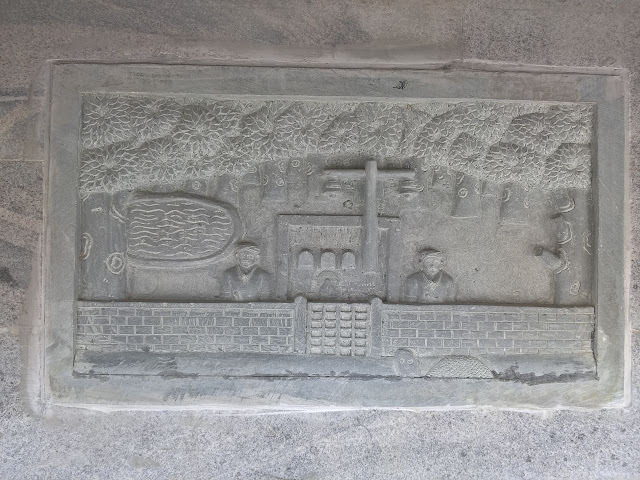 It was around 1810 when Linga Rajendra was the Raja of Kodagu. Upon the suggestion of his minister, Diwan Apparanda Bopu, Linga Rajendra came on an elephant hunt to the Balyatri forest, near Padi Igguthappa. Initially, the Raja found no elephants and was displeased with the Diwan. After a whole day of futility, the king ordered Diwan Bopu to find elephants the next day. Otherwise, he was to face dire consequences. Surprisingly, the following day, the Diwan found several elephants for the Raja. The hunting party shot dead 34 elephants and captured 8 elephant calves that very day. A three-fourth foot tall silver elephant statuette was made and gifted to the Padi temple. This statuette had an inscription upon it to commemorate the event. 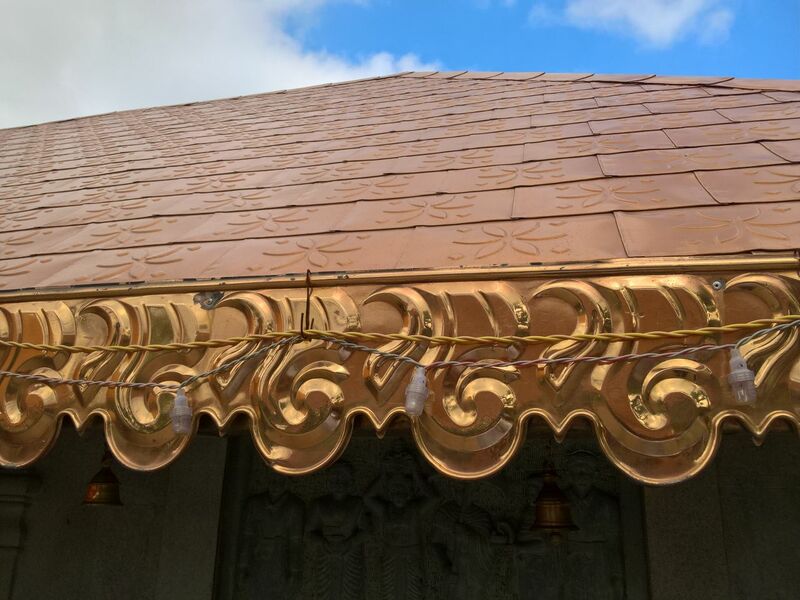 Later in 1835, the same Diwan Bopu got the Padi Igguthappa temple renovated and a golden kalasa (auspicious pot) placed above the garbha gudi sanctum. The main annual temple festival of Padi Igguthappa happens around the month of April during Minyaar, or the Kodava month of Pisces. Four other festivals are also observed in the temple. They are the Chingyaar festival, held on the tenth of the month of Leo, the Tholyaar festival, observed on the tenth of the Libra month, the Birchyaar Kalladcha festival, held during the Scorpio month, and the Kumbyaar Kalladcha festival, during the month of Aquarius. During the inauspicious month of Kakkada (Karkataka in Kannada) the month of the crab, certain pujas are not performed. The Birchyaar Kalladcha festival, held around November or December, is also called Puthari. 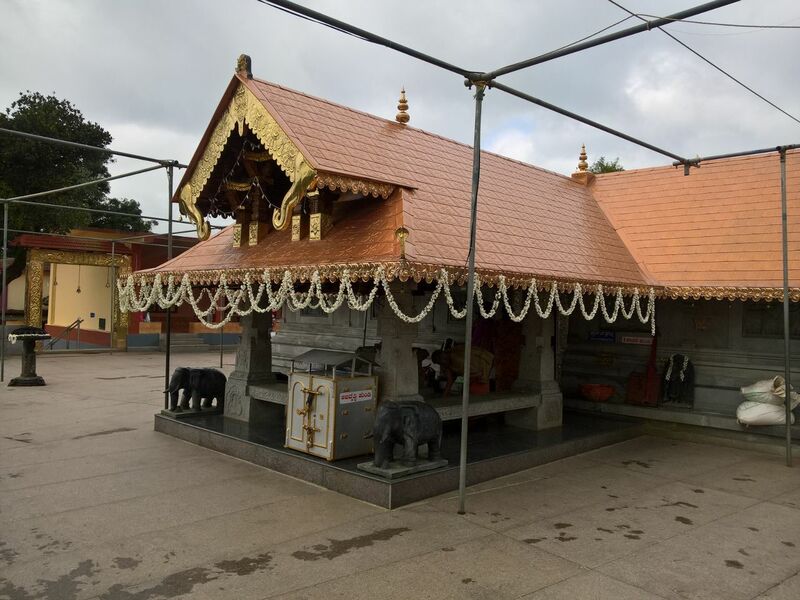 The date of the Puthari festival is decided by the Kaniyas (astrologers), from the nearby Ammangeri village, who are associated with the Igguthappa temple. The festival begins in the temple and the rice crop is first offered here. Then the people of Kodagu celebrate the festival the next day onward. 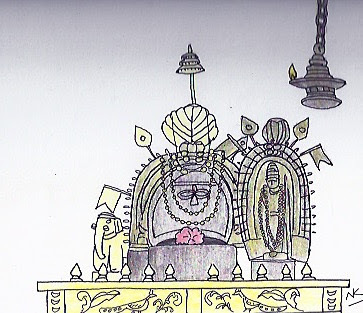 During this harvest festival, the people invoke Igguthappa, Mahadeva, and Baithurappa. During the Kumbyaaar Kalaadcha festival, certain ceremonies such as the Ett Porata, Thulabara, special poojas, and sevas are performed. Ett Porata is a ceremony where decorated oxen from certain households are made to carry rice loads upon their backs. Thulabara is where a person's weight is weighed often in rice and offered to the temple. There is a large scale kept in the temple and used for this purpose. 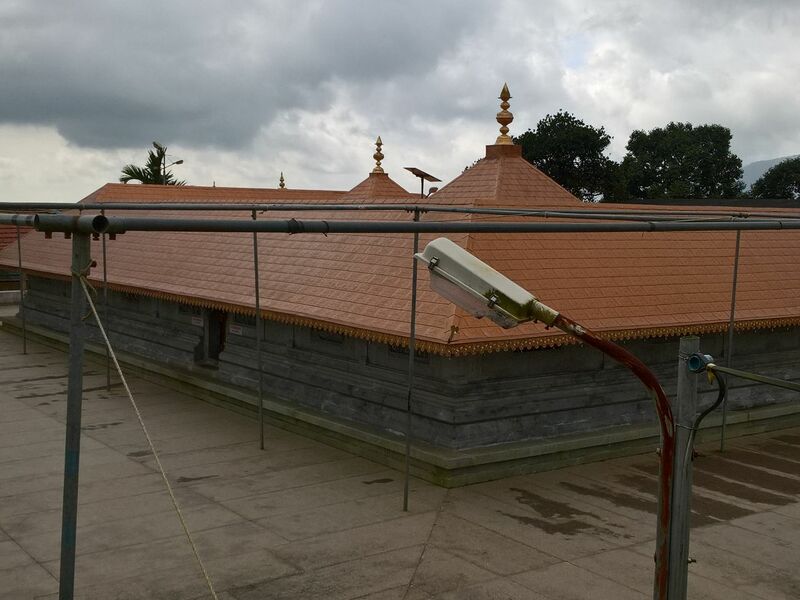 The Padi Igguthappa temple is accessible from the towns of Madikeri and Virajpet. From Madikeri one has to travel to Napoklu town. The Madikeri-Napoklu route is on a deviation to the left after Bettigeri on the Madikeri-Talakaveri route. From Napoklu one needs to go along the Field Marshal Cariappa road, turn left again (the road on the right goes towards Talakaveri) and go towards Kakkabe. This main road meets the Virajpet-Talakaveri road. Take this road to the left and reach the Kakkabe town market. From there the Padi Igguthappa temple road lies to the right. Another route exists, from Virajpet to Padi Igguthappa. On the way to Madikeri from Virajpet and at the Kadnur junction begins the Virajpet-Talakaveri road. One crosses Kadanga-Marur, Poddamani, Arpattu, and Cheyyandane along that road. At the Kakkabe town market and to the left begins the Padi Igguthappa temple road. While traveling by car is the easiest mode of transport, there are regular buses, both government and private, during the day. Autos also ply the route to the temple from Napoklu and Kakkabe. The Igguthappa temple at Nelji is near Napoklu and Kakkabe. The Igguthappa temple at Peroor is near the Nelji-Bhagamandala road. The Palur (Paloor) temple is also near Napoklu town. 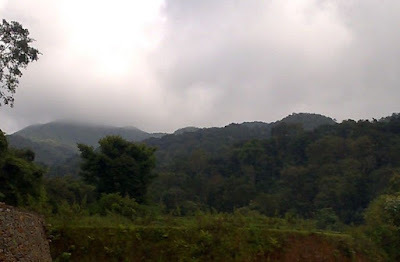 It is on the left from Karagunda bus stop on the Madikeri Talakaveri road. The Ponnangalatamme shrine is on the way to Padi Igguthappa and near Kakkabe town. Chinnappa, N. 2006 . Pattole Palame (Kannada) Madikeri: Karnataka Kodava Sahitya Akademi. Chinnappa and Nanjamma, B. Pattole Palame (English) New Delhi: Rupa. Rice, B L. 1878. Mysore and Coorg (English) Madras: Superintendent Press. Shankaranarayana Bhat, Y K. 1999. Sri Igguthappa Mahime (Kannada) Bhagamandala: Sri Ramakrishna Prakashan. Many theories abound about the origins of humans. Scriptures claim that all the human race descended from one intelligently designed man, call him Swayambhuva Manu, call him Adam, call him what you might. Likewise, Science would let you know otherwise. Some scholars claim that the human species gradually developed in a single place, others would claim that the species evolved simultaneously at more than one place. However if you would ask me what I believe in, I would say the theory which states that humans evolved in Africa and then spread out across the globe over several tens of thousands of years. They made their way through the Horn of Africa, then into Eurasia, populating West Asia, Central Asia, South Asia, East Asia and Europe, besides Africa itself. They also moved further into Australia, the Americas, Oceania and every other island. Mythologies across the globe have had common origins. A well-known example is the Flood Myth. Accordingly, a great deluge comes upon the earth which would wipe out the human race. But one man would survive this calamity and his descendants would repopulate the earth. To some he was Vaisvata Manu, to some others he was Gilgamesh and to many others he was Noah. Another such a popular legend is the gods versus giants battle. While in the Hindu Puranas the Devas beat the Asuras, in Greek mythology the Olympians defeated the Titans. Likewise, there is an obscure belief in seven supernaturals, revered in different pockets across Asia. Invariably these seven were six men and one woman. To the Babylonians, these seven were rulers of the heavenly bodies. The six gods were known as Nanna the Moon, Utu the Sun, King Merodach of Jupiter, Ninurta the war god Saturn, Nabu the Mercury god and Nergal the fire god Mars while the goddess was their relative Inanna, the goddess of Venus. Interestingly there are a modern West Asian people who believe in seven angels, six of them male and one female. Similarly, an ancient Hindu pattern existed in the Kodagu hills of South West India. This region has a pantheon of local gods and goddesses. According to the local mythology, seven children gods of Kodagu came from across seas to land on the Malabar coast. From there they moved inland to live among the Coorgs. According to his commemoration song, Igguthappa was one of six brothers and a sister, reincarnations of various deities. Igguthappa is revered as Lord Subramani incarnate, the war-god who commands snakes as well. These seven are analogous to the seven ancient planet deities of West Asia. But the planetary significance has long been forgotten. The first among the seven West Asian gods was the Moon-god, the chief of the West Asian pantheon. The crescent moon is a common motif among the Kodavas, the children of the legendary Chandra Varma (Moon Warrior). The crescent is represented as the Kokkethathi necklace pendant and found upon the peechekatti war-knife. This Kodava crescent is akin to the symmetric, convex Chandra-Bindu (moon-and-dot) of the Hindus rather than the Islamic Crescent which is depicted in profile. The second of the original Seven was the Sun god, again the Sun was revered by the Kodavas. The third was called King; while to the Babylonians, he was Merodach, the King of the gods, representing Jupiter or Zeus, to the Coorgs he was Bendru Kolurappa, the Emperor Marajendra or King of kings Rajarajeshwara. The fourth god was the war god, known as Saturn Ninurta and as Igguthappa, a form of Subramani, the Hindu war-god. Saturday the day of Saturn is sacred to the Coorgs. Mercury and Mars have not played as significant a role as the other planet-gods. The last was a goddess, called Venus, Inanna or Ponnangalatamme. 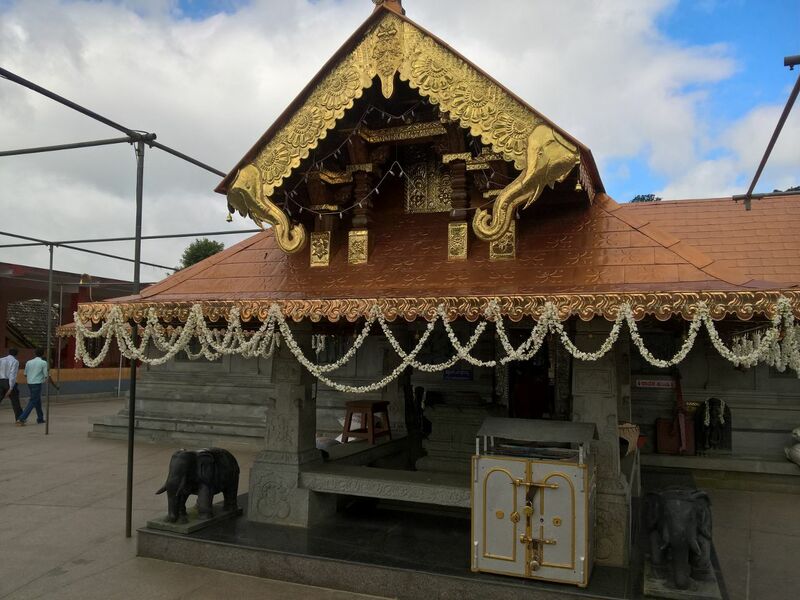 In Kodagu, while the river goddess Kaveri is called the Kula devi or patron goddess, the hero-god Igguthappa is venerated as the Mahaguru or chief preceptor. Mahaguru Igguthappa is also called and invoked as the Wodeya (ruler) and ajja (elder).